There's one thing we all clamour for when we start a new Football Manager 2019 save: a bargain wonderkid who has the potential to take your team to the next level. These players become the centrepiece of your tactical masterplan. Whether it be to spearhead your team to La Liga and Champions League glory with Barcelona, or to be a utility man in the battle for the Scottish Challenge Cup with Stenhousemuir, you have a vision for where every single one of your incoming transfers fits in. You defend them fervently to the press, who have the gall to question the fact that he's played for seven clubs already and he's only 23. You ask the captain to welcome him to the team, and if he's coming from overseas, you sometimes even bring in another player who speaks the language just to give him a mate. Sometimes, they commit treasonous betrayal by giving you a thumbs down in team-meetings...but we'll deal with that when we come to it. At any rate, you want to get your signings right, especially in this early stage of the game's release. We're going to help you do just that, by breaking down a list of 100 wonderkids (who won't cost a fortune) to get on your shortlist before you do anything else on that Borussia Dortmund save, courtesy of ​FM Scout. *All values subject to change. Only Gianluigi Donnaruma has a higher potential than this guy, so unless you've got crazy money to throw about (and don't get me wrong, Lafont won't be cheap) Lafont is your man long-term for a major club. Something of a newcomer to the mainstream players of the game, 18-year-old Lunin is one of the gems of Real Madrid's youth ranks at the beginning of any given save. ​The teenage Belgian looks like a long-term heir to Thibaut Courtois' throne, so get in there early. Plizzari has a senior season under his belt in Serie B, so is already a decent back-up for major sides, with the potential to go a lot further. Another who is currently cutting his teeth at senior level, Mannion looks like a potential bargain once his loan with Aldershot comes to an end. At 16, it's likely Gasparini will be some way off first team level whoever you sign him for - but get him in your youth ranks early on and watch him grow. Man City have already beaten you to the punch with the signing of this guy, but he's well worth prying from their grasp, having already experienced Europa League football at just 16. One of the more developed keepers on the list at 20, it likely wouldn't take too long to get this guy first-team ready. *FREE TRANSFER ALERT* This guy could be the bargain of the century, and you'll get him on peanuts as far as his wages go. What is there to lose? He's 18 at the start of play, and has the potential to go as far as almost anyone. Sign him...before he ends up at Wolves. Man City will regret letting the young Spaniard go by the looks of his in-game stats. You're not likely to find a pacy wing-back with higher potential. Passlack can play basically anywhere on the right hand side, has been known to fill in at left back, and can be picked up for fairly cheap in relation to his potential. Deal? Deal. A very cheap alternative compared to some others on the list, Bellanova is lacking in first team experience, but has as much potential as anyone. With his potential and reasonably high value, Hamburg won't let this guy go for buttons, but he shouldn't be too difficult to obtain as long as you've got some cash to spend. One of the more expensive players on the list, Wan-Bissaka is making waves in Palace's first team at the minute. He'll cost an absolute fortune down the line, so the earlier you sign him, the better. Previously a central midfielder, Adams has recently reverted to right back, but serves as a long-term option in either of those positions - or as a DM, if that's what you're after. A particularly promising fixture in Barca's youth ranks, Morey is well worth a look, even if the Catalan giants will ask for a good deal more than his low market value. You'll get this guy for peanuts, and he'll go on to become a quality right back for almost any club. Nyambe is near enough first team ready at Championship level, and can go far beyond that with the right coaching. Upamecano is an absolute monster at the back, and is first team ready for most clubs you'll play as. He'll cost a fair amount, mind you. 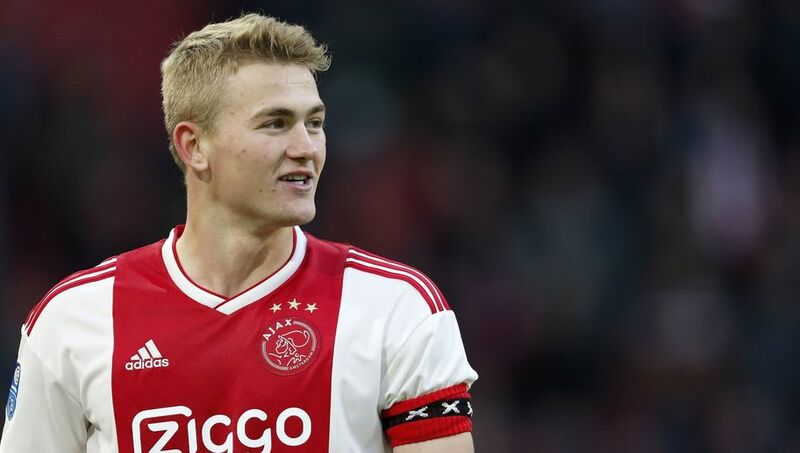 The obvious inclusion, de Ligt is already considered world class by many, and is a bona fide first team star at Ajax. Varnier is expected to be one of Italy's first choice centre backs for years to come. It surely won't be long before one of the country's giants snaps him up - so get him on the cheap while you can. FM Scout reckons the Brazilian has one of the highest potentials of defenders in the game, and can play RB, CB, or CM. Seems like a no-brainer really. Famous in the real world for impressing in midfield on his Wales debut, Ampadu is natural in midfield or at centre back, and has the stats to go very far. Retsos has the versatility to play anywhere across the back line, and the composure to walk into almost any team. One for those pesky home grown quotas in the Premier League, Fry is 20 and already an accomplished Championship defender. As centre backs go, only two players in the game have outright higher potential than this guy, who's currently on loan at Celtic from Leicester City. Another plying his trade at the Scottish champions, Ajer is big, strong, composed, and can also fill in in midfield if you need him to. Pellegrini has burst onto the scene at Roma this season, giving Aleksandr Kolarov a run for his money at left back, and will be one of the world's best left backs on your FM game before too long. He likely won't be cheap, but as left backs go, not many have the potential to go further than this guy. Having come through at Real Madrid, Itter departed for the Bundesliga in search of first team football - maybe your team is the next natural step in his burgeoning career. Quality left backs can be hard to come by in FM, especially at bargain prices, but that's exactly what Josh Tymon offers, provided you have the patience to develop him. Dasilva has been threatening to be a quality FM player for a while now, but it looks as if this is the year in which he may realise his potential. Despite his surname, Costa certainly won't cost you a lot should you acquire him early on, and there's the potential to make millions on him if he develops like he promises to. Another Spanish full-back that looks as if he has a very bright future ahead of him, Centelles is in the top tier of potential as far as buyable left-backs go, so he offers a very promising option. As far as his current ability goes, Sehovic isn't bad, and will improve fast in the right environment. ​Brazilian youngsters are always exciting, especially when they're threatening to get into the Juventus first team, and that's exactly what you're getting with Rogerio. Henry has been one of the Championship's most promising youngsters for the last few years, and nothing has changed this time around. He's almost Premier League ready, and playing for a Championship club, shouldn't cost too much. If anyone looks set to make an impact on European football in the years to come, it's Brescia's Sandro Tonali, who has the potential to go as far as anyone in FM. Diawara will cost a significant amount, but is a ready made first team signing for any club, and has a good six or seven years of drastic improvement in front of him. With the current crop of youth players at City, Gomes often gets overlooked, but he won't be for long - especially in FM - as long as you don't mind professional players with post-2000 birth dates making you feel disgracefully old. ​Maier is getting some first team football in the Bundesliga, and looks set to be one of the next big things, with the added advantage of being able to play in holding midfield or more advanced depending on what's needed. Locateli is another Italian who looks set to dominate international football in the years to come, but he'll likely cost you if you're to tempt him from Milan. As well rounded a midfielder as they come, Wendel can do just about every job you'd ask of a primarily holding midfield player. Luiz' development has been stunted since he signed for City two years ago, but could well be their long-term replacement to Fernandinho - unless you get in there first. He looks like an absolute steal, given that he's a midfield powerhouse with the attributes to make an impression in any team. The American international has made a serious impression at Schalke in recent years, and looks poised to become one of the best young players in the world, so you'd be advised to get him while you can. Sampdoria had the foresight to pry him away from Leeds a year ago, and will surely profit from it in the near future given his impressive physical attributes. We haven't seen a great Spanish Torres in something approaching a decade now, but Valencia's versatile 18-year-old attacker may be about to change all that - in FM at least. More of a wide midfielder than a winger in FM terms, Palacios offers a more reserved alternative to the other south American wide players you might come across on your virtual travels, and can also fill in at central midfield. A versatile attacker that's just as adept playing up front as on the right of an attacking midfield three, Cipriano has the potential to be one of the next great Brazilian forwards. ​Chong looks like one of the best youth prospects to come from the club in recent years, and can play on the right, left, or through the middle. Bailey won't come cheap, but he's a season away from becoming one of the best in the world, and he's only 20. Pulisic has been linked with moves to a host of top clubs for who knows how long now, and it's all for good reason. He has the pace and the final product to go as far as anyone on the wing. Nelson is currently making his presence felt in the Bundesliga, and it surely won't be too long before he follows suit and does the same in the Premier League. Mboula arrived from Barcelona in January, and is highly thought of at Monaco, so won't come for cheap, but is well worth the investment. Tsygankov can play on either wing, but is at his best cutting in onto his favoured left foot. Playing for Kyiv, he's likely to be available at a reasonable price. Chiesa will cost big bucks, but is a ready made star at the top level before you even consider his frightening potential. As creative midfielders go, Aouar would give most players a run for their money. He can do it all in an attacking sense, so is worth the investment; even if Lyon drive a hard bargain. Gomez won't offer much from a defensive perspective, but play him in a midfield three and watch your team benefit from his typically Spanish flair. At 16, Gravenberch has only started to show what he can do. His value will likely rise sharply with every birthday, so you'd benefit greatly from getting him in early. Sanches had a bit of a disaster at Swansea last season, but he's come into his own since returning to the Allianz Arena, and will be a top player in this year's FM. Fernandes is finding his feet as a first team player in Portugal at the moment, so won't come cheap, but will only get more expensive as the years wear on. Lee looks like one of the best bargains in the game on the face of it, and can just as easily play off the striker as in the middle of the park. A first team quality player for most clubs at the start of the game, Cuisance has the potential to be one of the best in what is an unbelievable pool of French midfield talent. Maitland-Niles hasn't so much burst onto the scene at Arsenal as much as he's slowly crept onto it, but his remarkable versatility and potential make him worth a look when it comes time to recruit new talent for your club. Tchouameni is a monstrous midfield presence, and worth having around, even if it'll be a while before he's one of your best midfielders. ​Making his name at Derby at the moment, Mount could be the one to buck the trend and make it in the Chelsea first team - unless you get in there first. No prizes for guessing who makes the top of the left wingers list, as Jadon Sancho's real life antics make his in-game value seem like an absolute steal. Paulinho, at 17, looks as if he could be the next Neymar, even as the present Neymar is hitting his prime. Marin is another just beginning to scratch the surface of his abilities, so it's worth acquiring him when he's available for buttons early on, before other clubs start to take stock. ​Brekalo has been around as a high potential youngster for a while now, but this year he takes bona fide wonderkid status, so should be considered whenever you're looking for a wide player. After being tipped for huge things towards the end of last season, Sessegnon has taken his time to settle into the Premier League. His potential is still massive, however, and he can do a shift at left back which is always a bonus. While he hasn't quite had the opportunities it looked like he was set for under Unai Emery as yet, Smith-Rowe remains one of Arsenal's hottest youth prospects, and will be a future asset for whatever side he ends up at in the FM database. Johnston is likely to be available for cheap early on, and can grow into an extremely effective wide player for virtually any club. Davies looks as if he has an incredibly bright future ahead of him, and is worth the large chunk of your transfer budget that it'll cost to sign him. Having spent last season on loan in the Bundesliga with Leipzig, Lookman was expected to kick on this season, but hasn't really lived up to his promise. He'll cost a bit, but you'd be rewarded handsomely with an impressive player with a lot to prove. Despite leaving Arsenal, Reine-Adelaide looks set to bounce back in style, at least as far as FM is concerned. Foden certainly won't be let go on the cheap given his bright future, but it's exactly that which should cause you to dip into your pockets for the future England star. Felix is just 18, but has already established himself as a first team player at Benfica, and it surely won't be long before he steps up further. Thought of as one of the GErmany stars of the future, Havertz is the cream of an impressive crop at Leverkusen, and should be able to do a job for you whoever you are, in a number of positions. Gomes was quite the talent in last year's game, and has stepped it up again for 19, with the potential to be a world beating attacking midfielder. Plying his trade in the lower echelons of La Liga, Morilla has the potential to be one of the best attacking midfielders in the game if given time. While his in-game position doesn't reflect his real life capabilities, he has the potential to go on and make a mark in the England team in FM19. ​Shrouded in controversy at the moment due to his contract situation, you could replicate what Real are reportedly planning and steal him for free at the end of the first season, and get a future Spain star for your troubles. Real Madrid have reportedly shown interest in Manchester City's Brahim Diaz. On his first start at the Etihad Stadium, he has netted a brace. One of Barcelona's hottest prospects in real life, Puig won't cost buttons, but is worth every penny Barca ask for. Edwards was immense in last year's game, and despite a slight downgrade, he remains one of Spurs hottest youth prospects - and may well improve quickly while on loan in the Eredivisie. A hot Brazilian prospect available on a shoestring budget, Lourenco looks like a no brainer for those looking for longevity in a save. Pellegri has the distinction of being in a tier of his own as far as his potential goes. No strikers have the potential to go as far as he does, so he should be near the top of your shortlist. ​The young German forward has long been expected to press on and become one of the Bundesliga's ones to watch, and it looks as if he'll do just that and more in this year's FM. With Paulo Dybala and Cristiano Ronaldo ahead of him in the pecking order, minutes will be hard to come by for Kean - offering you the perfect opportunity to take him on the cheap and realise his potential. Monaco made headlines when they moved for Geubbels in January - due to his age - and won't let him go for cheap having so recently acquired him. But he has the potential to be one of the very best in this year's edition, so is worth a look nonetheless. At 15, it'll be a few months before you can even legally sign Silva, but since FM is a game that doesn't have the same variables as real life, we can state with certainty that he will go on to become a quality player. It's hard to recall the last game in which Martinez wasn't a FM wonderkid, but he won't be as easy to sign this time around, considering he plays for Inter these days. Cutrone is thought to be the future of Milan, unless someone comes in with a mammoth offer for him - and that's just what you'll have to do to tempt one of the game's hottest prospects away from the club. Another with a history of being a go to youngster in FM, Jovic has maintained much of his FM18 promise and remains one of the best young forwards around. Ruiz is an out and out poacher, something that's hard to come by, even in FM. If that's what you're after, then, Ruiz offers a stellar long-term option. Gouiri is one of Lyon's bright hopes for the future, and is just as capable on the left wing as up front - a no-brainer if you're looking for versatility on a budget.